Struggling to get rid of bed bugs? Bed bugs are very good at hiding in the tiniest places, and most people have no idea they have them until they get bit. Gladhill Services listens to their customers concern, so we have put together a few easy do-it-yourself bed bug treatment options to help prevent and eliminate bed bugs from your home. Since bed bugs are active during the night and rarely seen by people, prevention is the best measure when dealing with these pests. However, if you do suspect bed bugs in your home, here are a few treatment options to help reduce bed bugs until a professional arrives. Bed bugs are blood-feeding pests that have made quite the resurgence in recent years. The more you know about bed bugs, the better your chances are of avoiding them. As their name warns, these pests live, feed and breed where you sleep. Bed bugs can go without food for more than six months. Bed bugs are difficult to eliminate without the help of a pest professional. 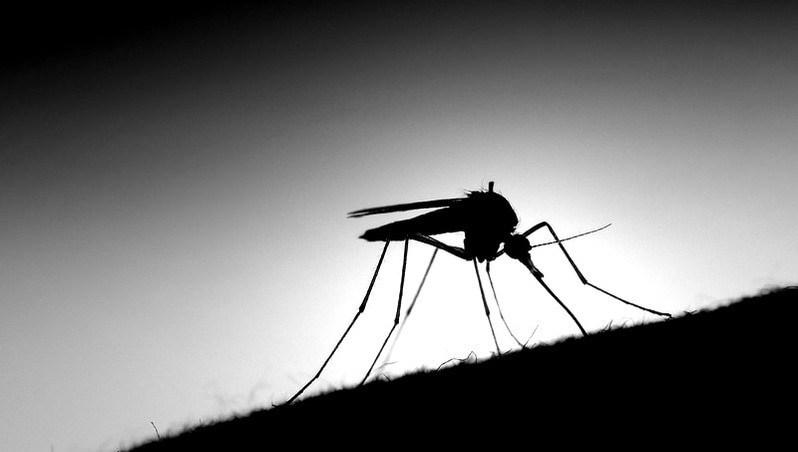 If you notice insect bites on your arms, face, back, neck or other areas of your body upon waking in the morning continue reading. If you find dark reddish to black spots on your mattress you should consider bed bugs in your home. If any of these signs are present do not wait another day! Wash all bedding including sheets, pillow cases, blankets, and throws immediately. Wash all items in hot water at a temperature of no less than 120 degrees. Bed bugs can't survive a dryer cycle on high heat, so be sure to dry all linens, after washing, on high heat for more than 30 minutes. Always check laundry instructions on your linens being mindful as not to damage them . An all important step in this process is to be sure that your bedding and linens are brought to and from the laundry room in a dedicated hamper or basket. This will help prevent bed bugs from spreading into other parts of the home. Vacuum with a crack and crevice tip on your mattress, bed frame, along your baseboards and don't forget the headboard. Thoroughly vacuum any and all crevices where bed bugs, their eggs and young could hide during the day. This includes the insides of dresser drawers and night stands. Pull off wall hangings and be sure to vacuum the frames well. Discard the vacuum bag outside in the trash immediately following this process. Place your box springs and mattress in special bed bug encasements. If unsure about these then call Gladhill Services about mesh covers specifically designed to kill bed bugs for up to two years. These new covers not only prevent bed bugs from being able to hide in your mattress, they will continue to effectively eliminate them for up to two years. Finally, scrub down all hard surfaces like your headboard, bed frames, baseboards, floors and the inside and outsides of chests and drawers. Do this with a brush or disposable rag you can discard immediately after use. Soapy water, hydrogen peroxide mixed in water and tea tree oil diluted in water are safe and extremely effective in sanitizing surfaces. But, as with any cleaning solution always check the label as not to damage any surfaces. Like fleas and ticks, bed bugs do not live on their hosts. Bed bugs prefer feeding on humans, however, cats and dogs are susceptible hosts to bed bugs as well. At times, our pets may be responsible for bringing them into our homes. Pet bedding, stuffed animals, pet toys and cardboard boxes can harbor bed bugs even after professional treatments. If you are unable to discard these types of things then, you should treat them as you would the bedding, furniture and other personal items by laundering them. It's good to begin treating bed bugs like bacteria in one sense. While protecting you and your family, help protect the spread of bed bugs in your community by sealing any items you may discard in plastic or another suitable type of wrapping material. Thick trash bags work well when tied tightly and immediately thrown out into a dumpster or trash can. In accordance with the law in certain states, mattresses must be sealed when discarded. 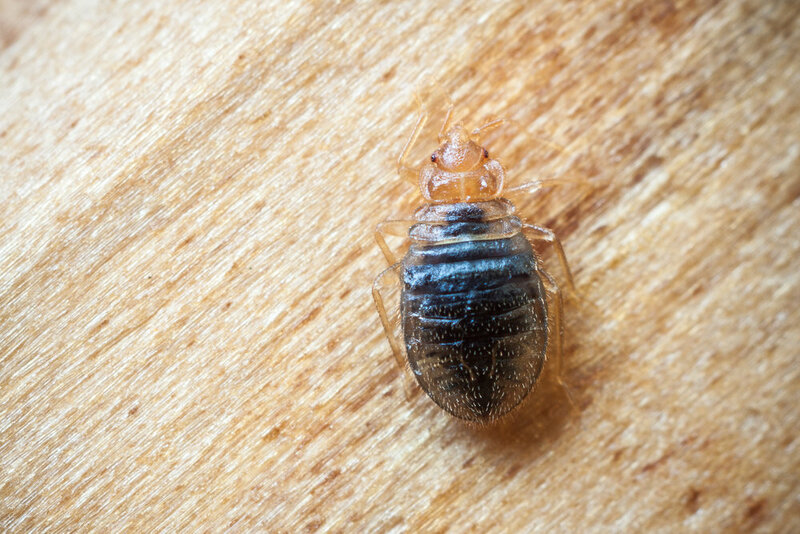 When you take these preventive measures be aware that there are species of bed bug that live in proximity to mammals and animals such as bats, swallows and owls. If you have a pest issue with birds nesting near your home, or bats in your attic, it's best to consider humane and professional options for the control of these animals too when eliminating and preventing bed bugs. Even after you have done all this, bed bugs may still be present. Sometimes bed bugs continue entering your home on a regular basis simply due to a child, pet or friend. Your partner may travel for work so, understand you may have done your very best and still lost the battle in prevention but, never lose hope. Professionals deal with bed bugs everyday. They have special products, tips, and years of experience to help when your peace of mind has been lost. The easiest way to prevent and eliminate bed bugs is to contact a professional like Gladhill Services. A local pest professional will be able to assess your situation and begin eliminating bed bugs where they live and breed. A professional bed bug technician from Gladhill Services will give you peace of mind eliminating bed bugs in your home with as little disruption to your life as possible. Call us, and let us bring you some peace of mind. The successful elimination of a house mouse or mice begins with your choice of approach. Getting rid of a house mouse can be as simple as making a call to a pest professional but, if you feel you have what it takes to confront what many fear then, keep reading. In general, mice are harmless alone but, they can bite, they can spread some disease, and, they can certainly make a mess of things inside the home with their urine and feces, especially when near foods you may have in the pantry. 3) learn how to prevent them from entering your house to begin with. Rodent-proofing your home is the most effective way to get rid of a house mouse or prevent the infestation of mice in your home. The easiest way to avoid mice in your home is by eliminating the areas they enter. Without a trained eye, this may prove to be difficult at times since mice have the ability to squeeze into tiny cracks no more than a quarter inch in size. In other words, if you can fit a pencil in it, a mouse can get through it. The majority of these entry points are found around the exterior of the home at or near ground level. Sealing these small cracks in the foundation and block portions of your home will prevent mice from getting inside as the temperatures begin cooling. Openings in the ground level of your home, as well as basement walls are good areas to inspect, especially where utility pipes and ventilation are installed. Steel wool works very well in these areas. Simply take a screw driver and begin pushing pieces of the steel wool inside until the hole or crack is full. Unless you want the mice to come back, avoid using rubber, plastic, caulking, or even wood plugs because mice will chew their way right through. Install a weather strip on your doors and seal any window gaps to help. Now, if you feel that your home is sealed tightly yet, you still suspect a mouse or two inside there are other ways to go about the elimination process. Be it a single house mouse or multiple mice you can use some type of food product for bait. The traditional foods such as chocolate, peanut butter, bacon, or oatmeal works fine. When you're ready to begin baiting, you will need a standard snap trap. In order to be effective, you'll need to secure the bait to the trigger pad of the snap trap. This may be done with dental floss or even fishing line. If you do not secure the bait to the trigger pad of the trap chances are your mouse will get a free snack and run off into the night freely escaping the death that surely awaited it. You can easily place peanut butter on the trigger pad as the mouse will need time to get it all in his or her belly - just enough time to get nailed by your trap. It's ok because most people feel the snap trap is humane as the mice never truly knew what hit them. Obviously, this is the general opinion of people. We haven't heard anything from the local mice to date. You can purchase sealed packets of pellets or granules of poison to place in areas of mouse activity. The mice find the bait, eat it then, die in the shadows more often than not. There are even weighted containers you can place bait in around the exterior of homes to eliminate mice and other rodent issues. These are typically left in the hands of professionals with experience and reserved for places routinely hit with rodent activity though. The best way to get rid of mice in an ongoing infestation is with traps. There are several types of traps sold on the market for this purpose - some work well while others are just not worth a dime. The best part of traps is that they are non-toxic, they kill the mouse instantly instead of poisoning, and once caught they are easily disposed of before they begin rotting and smell. The classic wooden snap traps work well, but keep in mind that most people do not like the mess they can make. Baiting the trigger pads can be difficult as well. Glue boards are another non-toxic and environmentally friendly way to catch mice and other rodents. Glue boards are simply a small to large piece of cardboard with one side full of a thick gel-like glue. While many people feel this is not as humane as a snap trap, glue boards are easily placed, silent, do not make a mess of blood and other possible rodent fluids, and do allow for easy disposal of mice. Tin Cats are a metal box with a one-way door installed for mice to enter only. Once inside these traps, a mouse cannot get out. They do not require any kill or baiting at all. When you find a mouse in the trap you simply set it free outside as it will come back in later. So, you can see how effective they are at times. Again, experienced pest professionals know how to handle and eliminate mice caught in these types of traps. Not very advisable for the home owner who doesn't like killing small rodents. If you haven't decided to call a professional or begin excluding entry points in the home let us back up and understand that mice are a form of wildlife. When temperatures drop to freezing they seek out food and shelter just as any animal or person would do. It just happens that the heat, light and food you have inside your house appeals to them. Can you blame them? Their small size and natural abilities to adapt make them a popular pest especially during the winter months. Sealing any possible entry points is key to successfully eliminating, ridding or ending any type of rodent issue. Baiting with snap traps does end a mouse problem quickly if done correctly. If done wrong... well... the problem doesn't get any better and at times, may get worse with a female mouse inside. During the warmer months it's a good idea to keep your lawn and landscape maintained by removing debris and lawn refuse. Move your compost pile far away from the house and any piles of leaf or lawn clippings. Keep your weeds to a minimum and fill in any burrows that might be visible to your eye. This discourages rodents from coming back. Replacing your mulch with gravel also helps discourage mice from entering around the foundation when cooler temps follow. Try elevating your garbage containers off the ground. Some blogs say to wrap your garbage in tightly sealed plastic bags but remember that the teeth of rodents are very sharp and plastic is no match for them - they will chew right through it hence elevation. Raising your containers six inches off the ground is enough to keep mice and rats at bay. And finally, keep your house clean and free of crumbs littering the kitchen floor.